NEW DELHI: India has always stood out for its prowess in developing missiles and with the upcoming test-launch of the BRAHMOS missile from Su-30MKI fighter jet, the country is all set to create history. 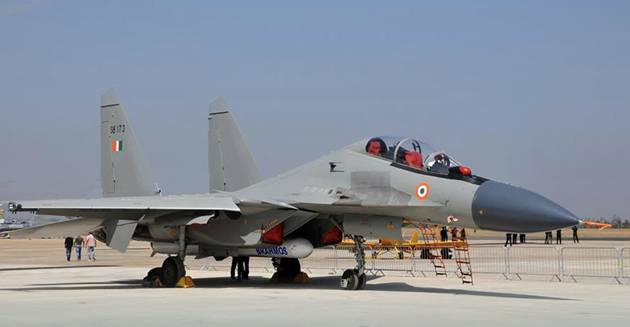 "The day BRAHMOS is successfully test-fired from Su-30MKI, the whole aeronautics community would be saluting us for achieving a very, very difficult milestone in missile and aeronautical technology," says MD & CEO of BrahMos Aerospace Sudhir Kumar Mishra. In an interview with Economictimes.com, Sudhir Mishra said, "BRAHMOS is a very heavy missile and such class of missiles has never been integrated with Su-30MKI. The launch of BRAHMOS from Su-30MKI comprises several phases. Structural modifications have been carried out in the aircraft to integrate BRAHMOS on to it," explained Mishra. "Around three-to-four varieties of missile will be flown on Su-30MKI to test the integration. Dummy and technology missile tests will be carried out along with a pure drop test of the missile. Finally, in the fourth stage, the actual test of the missile would be against land and ship targets. "We should be able to reach to that stage in the second part of 2016," says Mishra. Mishra is confident that a single test (from Su-30MKI) against land and ship targets would be sufficient to test the success of the integration. Asked about the underwater version of the BRAHMOS missile, which the Indian Navy is yet to test from a submarine, Mishra said, "BRAHMOS has been successfully flight tested from a pontoon. As a system, pontoon behaves very similar to a submarine. It has been demonstrated that the missile can be launched from sub-water. "We are in touch with many submarine manufacturers in Russia (Rubin Design Bureau), Germany (HDW) and Spain (Navantia). These submarine manufacturers have confirmed that it is possible to integrate BRAHMOS with their submarines. BRAHMOS is one of the credible weapons in the inventory of Indian Navy, so we are very confident that the test will happen in the future," he added. BrahMos Aerospace is a joint venture between India's DRDO and Russia's NPO Mashinostroyenia. It was established in 1998, through an inter-governmental agreement. Both the Indian Army and Navy have inducted the supersonic cruise missile which has a range of 290-km. BRAHMOS flies at a speed of 2.8 Mach and carries a conventional warhead of up to 300 kg. According to Mishra, BRAHMOS Mark II or Hypersonic BRAHMOS will be able to fly much faster than the existing one. "There are some problems in making a pure hypersonic engine. As of now, we are conducting research completely in the theoretical region. My estimate is that we will be standing at the door of hypersonic engine in about three to four years, and pure hypersonic in about seven to eight years," he said.